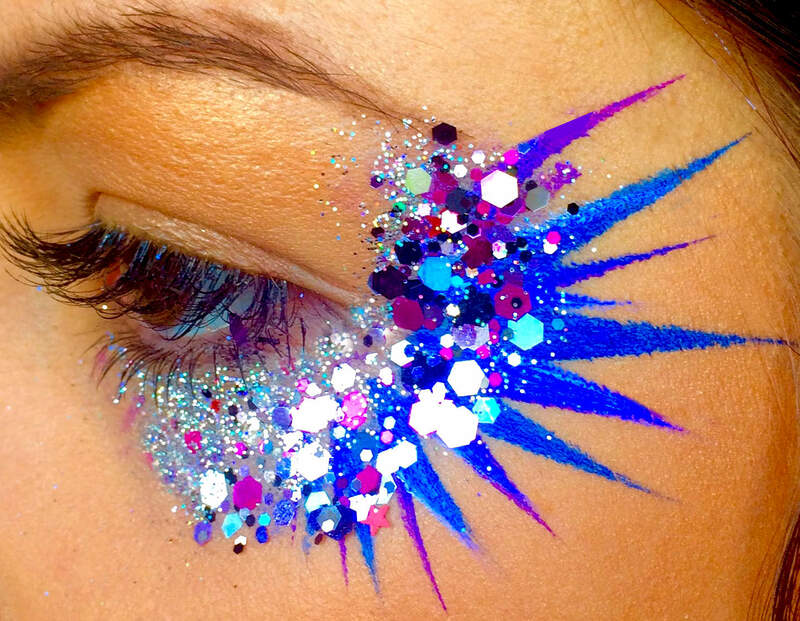 Glitter is the hottest trend right now in the face and body art world! 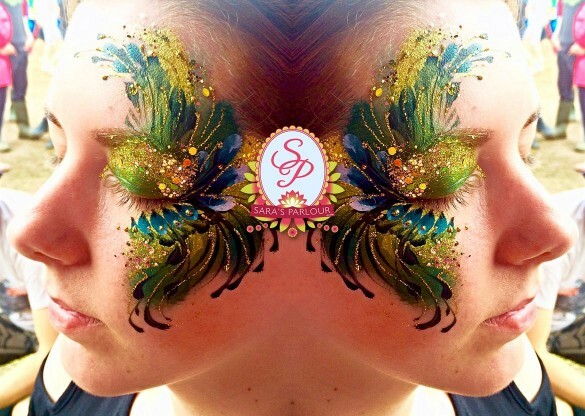 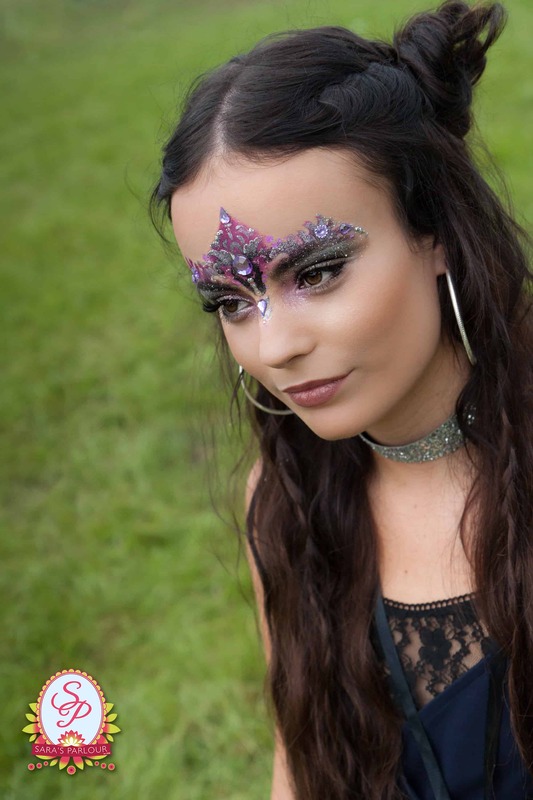 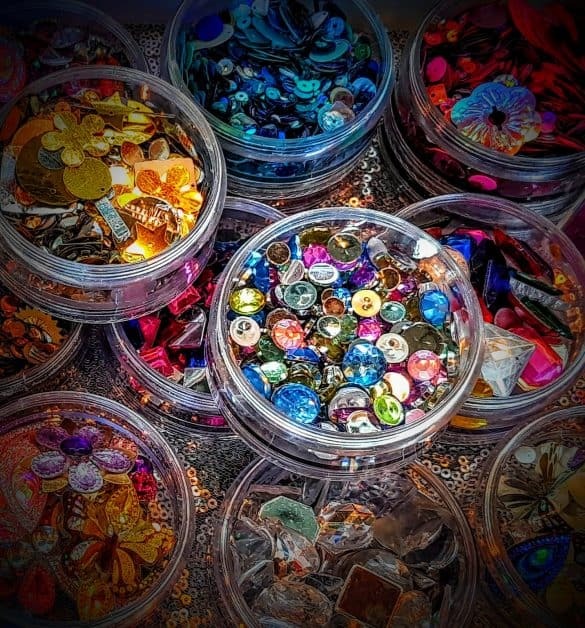 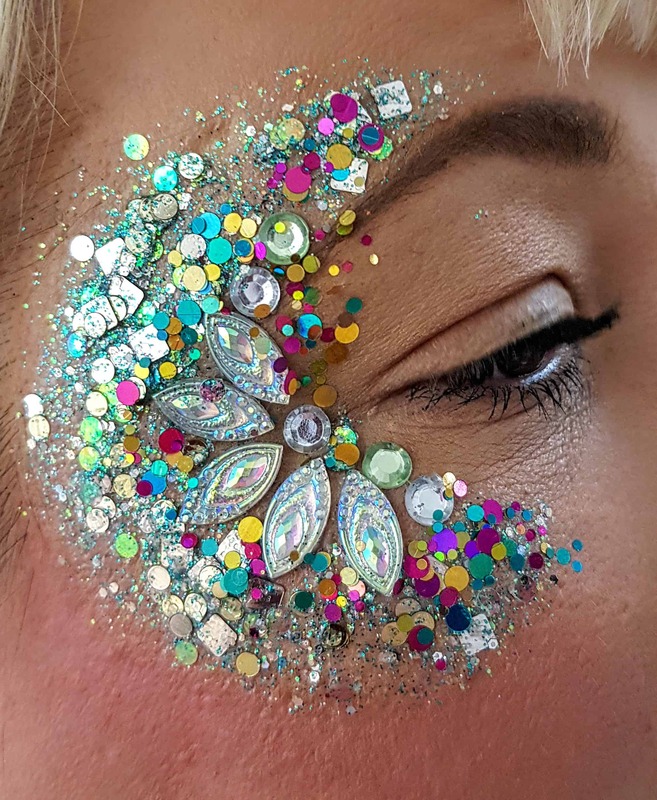 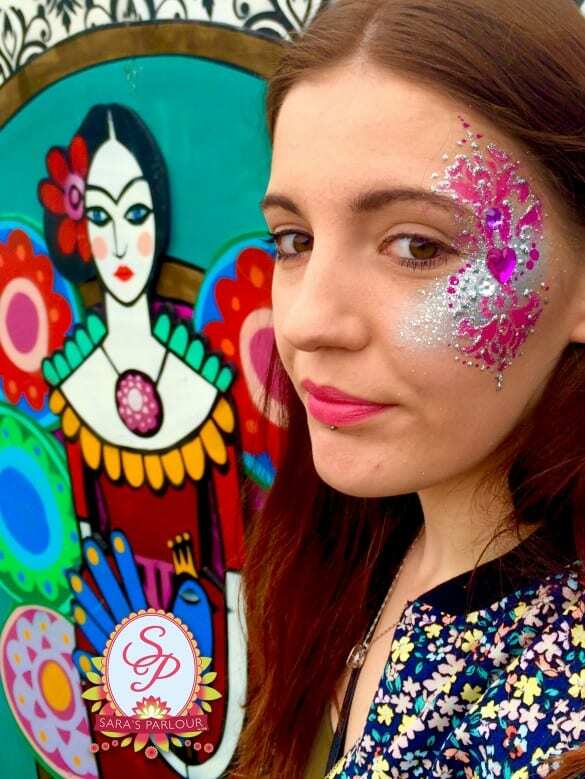 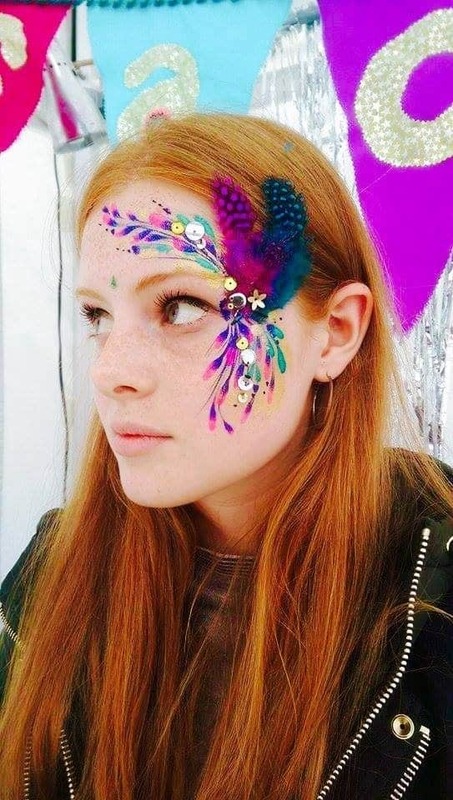 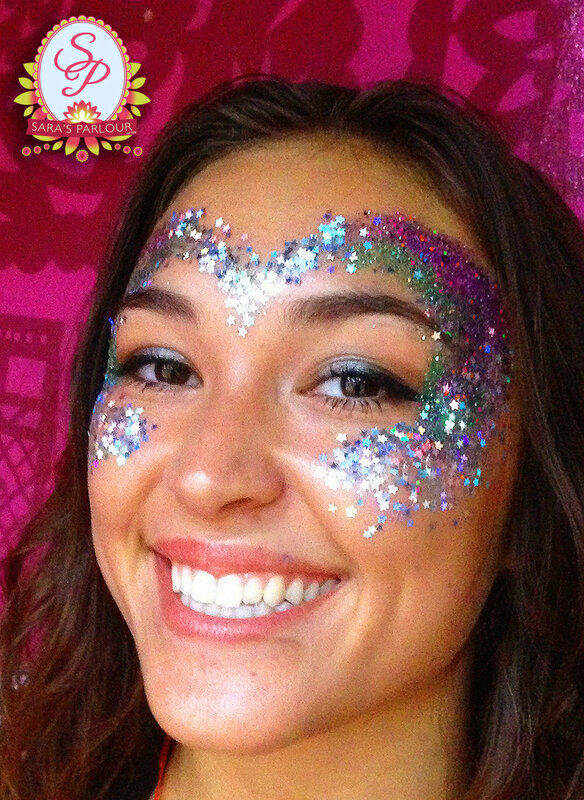 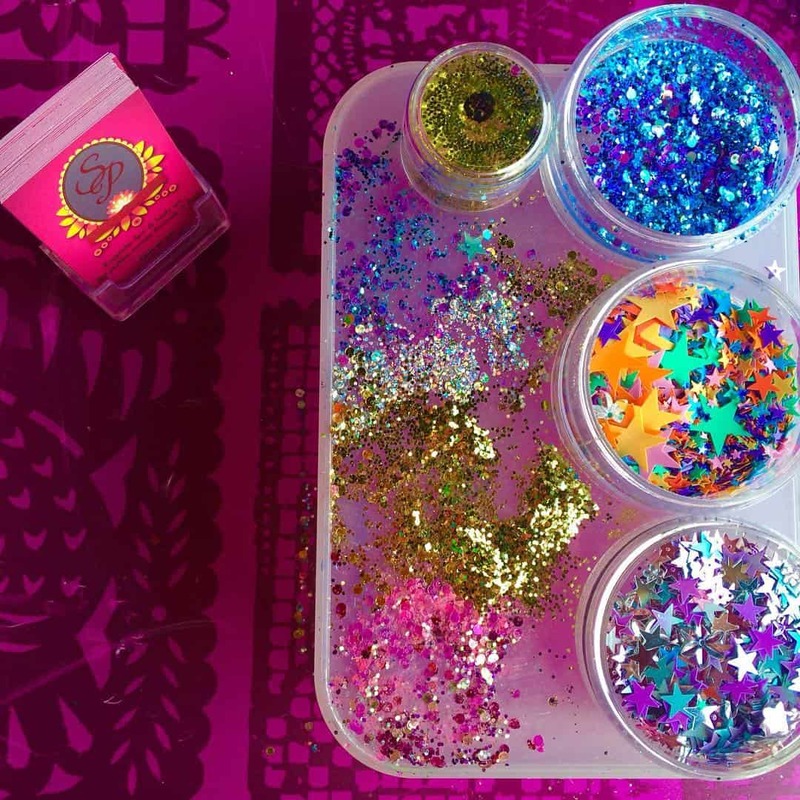 Glitter began its popularity at leading festivals including Coachella in the U.S…With massive popularity here in the UK, Sara and her team have adorned, at some of the UK’s leading festivals: With pamper booths at Latitude, Creamfields, and V Festival – to name just a few! 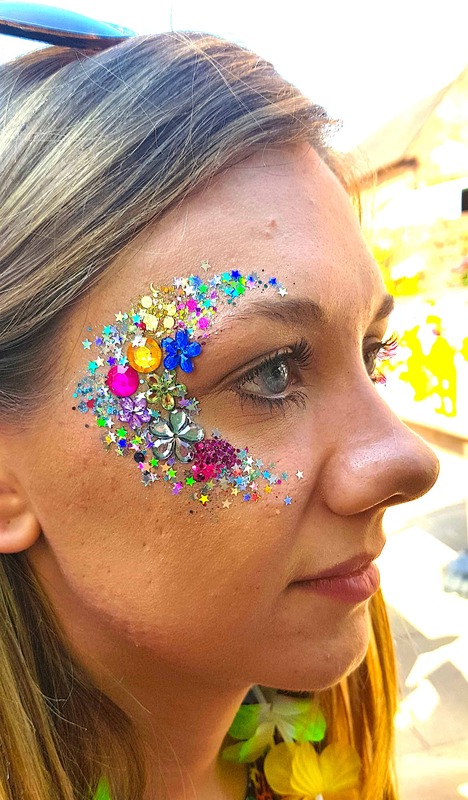 The Glitter craze has now transitioned into the perfect compliment for special occasions including: Weddings, Hen Parties, Birthdays, Corporate pamper days, and Festival themed events. 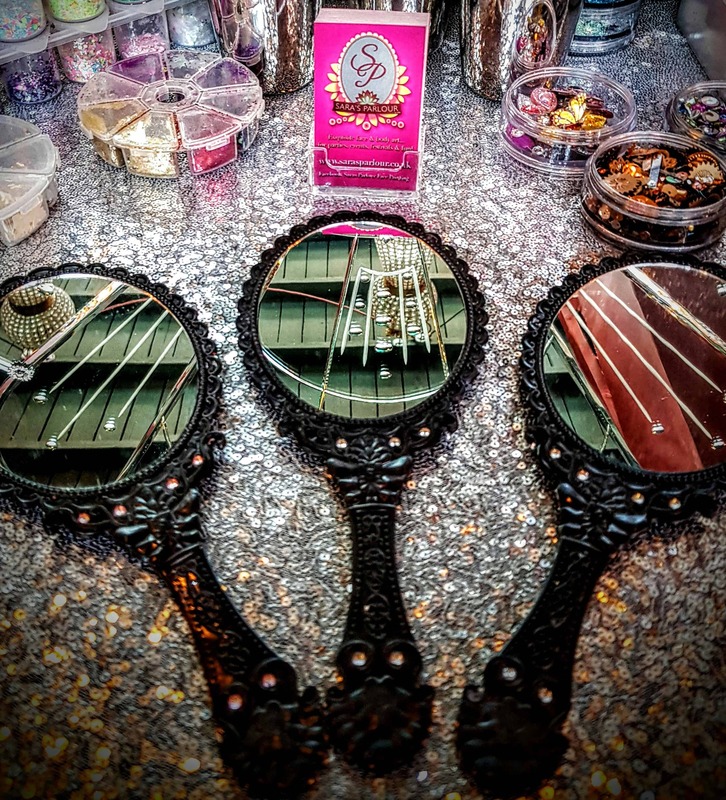 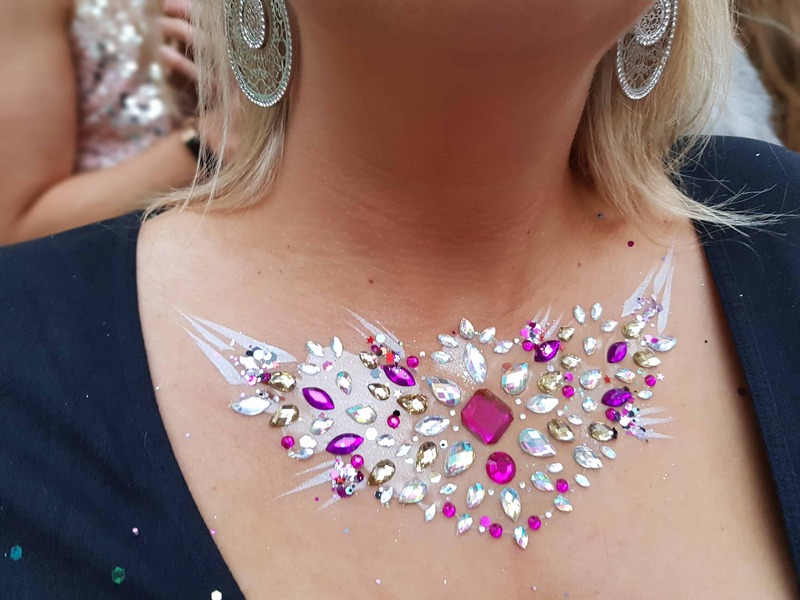 Sara’s Parlour takes glitter to the next level: With a high level of creativity, combined with a variety of mediums – from gems, sequins and paint, to even 3D adornmentation such as feathers! 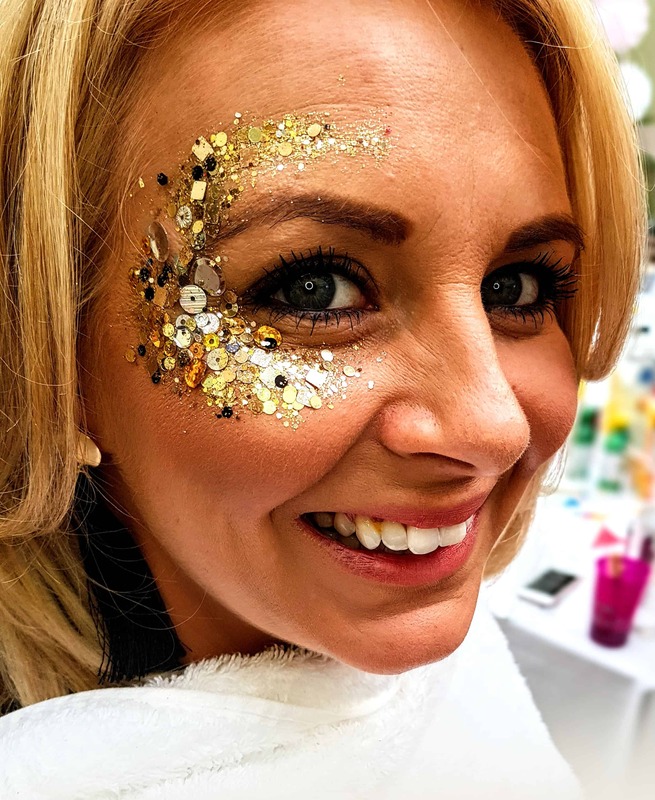 Make your special day the ultimate sparkling event of the year!